This week's project is a simple, but good one: Every day this week I am going to post something on my blog that I think (and hope) will you make you smile. With everything that's going on in the world right now, I think it's good to remind ourselves that the world is a beautiful place, and that the people who live in it are capable of truly amazing, generous, hilarious, touching and heart-warming things. Friends, we are starting out by setting the bar high. I love this little short film, and I'm willing to bet that you will too. However, it is 16 minutes long, and I am going to ask you to just trust me that it will be worth it for you to spend those 16 minutes. Give it 2 minutes, and if you don't want to find out what happens next, then I will let you off the hook with only the slightest disappointment. But don't worry - you're going to love it! I am participating in the Blogger's Day of Silence in memory of the victims of this disaster in Japan. Because there are no words to express the heartbreak, the devastation and the destruction felt by the Japanese people. I will be taking this time to reflect on what I can do to help, and urge you to do the same. As we get closer and closer to our trip (50 days! ), I'm anticipating that more and more of my attention will go towards getting ourselves ready to go. My question to you is: are you interested in what goes into the planning and execution of a 5 week trip to three countries? Let me know if you're curious about the process, and I will blog about that off and on in the coming weeks. I've already decided that I'll be switching gears here at Project Project during the time we'll be away. Instead of the usual projects, I will be turning it into a good old fashioned travel blog where I will write about where we are and what we're up to. So you'd better start getting interested in Norway! Whoa, whoa, whoa. The second half of last week completely escaped me. This is in part due to my brother unexpectedly ending up in the hospital (it's serious, but mendable) and in part due to every day life making demands of its own. When something is stressing me out, I have a tendency to hyper-focus on That One Thing until it is resolved, and everything else just gets put on hold. But now my big brother, Jeremy, is on the mend, and I can mostly return to every day life again (that is him in the photo, and I love him to itty bitty pieces). The first thing on my list is to update you on the rest of last week's project, because I did actually still manage to take care of a few things while biting my nails and waiting by the phone. As you may, or may not know, we're planning a trip to Norway in oh... say... 51 days. Did you know that passports are required for international travel? Yup, so did we, but we sure haven't been behaving like it! Nick and I are both set for about the next decade, but Espen needs his very own. So, on Wednesday I finally sat down and figured out what we needed and where to take it. As usual when I've been putting things off, the whole thing was done in minutes, and we are one crucial step closer to getting ourselves across the Atlantic. The first day of warm weather! Espen and I celebrated with our next-door neighbors by walking down to the park to play. Nothing too spectacular, but I've been wanting to try that walk with Espen since the park first opened last summer. It felt so good to be outside in the sunshine and breathing fresh air after an entire winter of being cooped up. It's only a mile down to the park, so even if some of the walk isn't exactly pleasant (some parts don't have a sidewalk and some is next to the highway), I think we'll be doing it again. One benefit to Nick staying home sick from work, is that there is an extra parent in the house. I took full advantage of this, and snuck off to finally get my eyebrows waxed. I am a very strong believer in the power of eyebrow shaping (think $10 facelift), but for some reason it has just been nigh unto impossible to orchestrate the North family into finding 45 minutes for me to leave the house during business hours. However, on Friday afternoon, while Espen and Nick were both napping, I managed to sneak in and out before either of them were out of bed. And I look so much better! That's it! That was my week of productivity. Because I only picked one thing per day I didn't get overwhelmed, and actually managed to whittle a few things off my to-do list. Win! So, tell me: what are you checking off your list this week? Those of you who have been visiting Project Project for a while might remember that I once wrote a letter to my 7th grade teacher, thanking her for the impact she had on my life. Well, she wrote me a very sweet letter that meant a lot to me, and gave me her email address so we could stay in touch. Almost nine months ago, and still no word from me. Argh. So, on Monday I pulled out her letter and wrote her an email. 45 minutes and a few paragraphs later, and I had accomplished something I'd been wanting to do for nine months. A time period during which some people can produce a fully formed human child, and I can write an email. But the point is now it is done, and I am happy about that. It seems I have some type of deep-seated issues with correspondence, because the next item on my list was writing thank you cards! for Espen's birthday. I'm not hugely into correct etiquette, but I do believe in thank you cards. Expressing gratitude is so important, and who doesn't like getting a little piece of mail that isn't after your money? First I tried writing them in the living room while Espen played, but he decided he'd much rather do what I was doing. Preferably exactly what I was doing with the very card and pen I was trying to use. Espen accepts no substitutes! If I was an amazing mother, I'd figure out some genius way of involving him so we could share a special teaching moment through crafting and the expression of thanks, but instead we moved into the kitchen where I distracted him with some lunch while I wrote and put the cards together myself. Again, it was quick, fun and pretty satisfying to get them all written. Now I just need to get them in the mail! It feels good to get a few things taken care of. One per day is setting the bar pretty low, so even I can scramble over it in the course of a day. Then there's the instant pay-off where I get to feel virtuous and lovely for putting forth very little effort. And that to-do list is shrinking! It's been a quiet week here on Project Project, due to the fact that we've had a pox on our house. OK, I've been sick. Somehow I've managed to escape just about everything that has been going around since we've had Espen (with one very notable exception - dreaded lurgy, you know who you are), but I was struck down last Saturday by the common cold, and have been fighting it off ever since. The upside to being sick, though, is that people are nice to you and let you sleep. Nick took care of both me and Espen all Sunday, and then on Tuesday one friend watched Espen for me so I could rest, and another one brought us dinner. I know, I don't know how i got friends like that either. But enough about my cold! I am planning to be back in full force with a new week-long project on Monday, so stop in to see what I have going on. 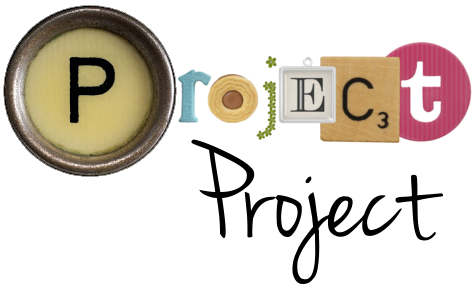 If you feel like Project Project has gotten very baby-centric lately, you are not wrong! As he gets older, more active and naps less, more and more of my time and focus goes to Espen, as I think it should. Naturally, a lot of the things I try to do in a day revolve around him, and so that is what I blog about. I guess I am a mommy blogger after all! However, having said that, I do feel like it's important to leave some room for me-centric things too, which is why I'll be trying to blog a bit more about those in the coming weeks, rather than plastering photos of my adorable infant all over the place. Speaking of my adorable infant: thanks to his birthday party and the Party Perfect feature (as well as a mention here), I am finally the author of the most read post on my blog! Ever since Carina of The Jet Set generously wrote a guest post for me, that post has steadily been getting daily hits since November 2009. That's what happens when you get someone far more popular and genius than yourself to write for you, but now I am back in the saddle again! I am looking for small businesses that might be interested in doing a giveaway or two/sponsorship deal here on the blog. The smaller the better! I love the idea of helping to get word out there about your genius product, so please let me know if you're interested. Email me at tamsin dot project dot project at gmail dot com, and we will work something out. And that is it! See you on Monday?